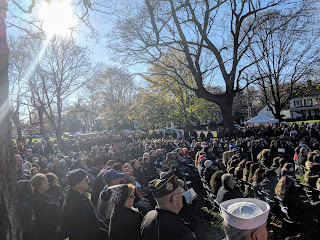 Franklin Matters: "virtuosity deserves some concrete and tangible form of recognition"
"virtuosity deserves some concrete and tangible form of recognition"
"After more than two years of planning, residents were able to take their first steps on the Veterans Memorial Walkway on Sunday. Red bricks make up the walkway’s foundation, while 45 plaques placed on granite columns are placed throughout. Each of the plaques has the name of one of the 45 Franklin veterans who lost their life while serving in one of our nation’s conflicts, spanning from World War I to the Iraq War. 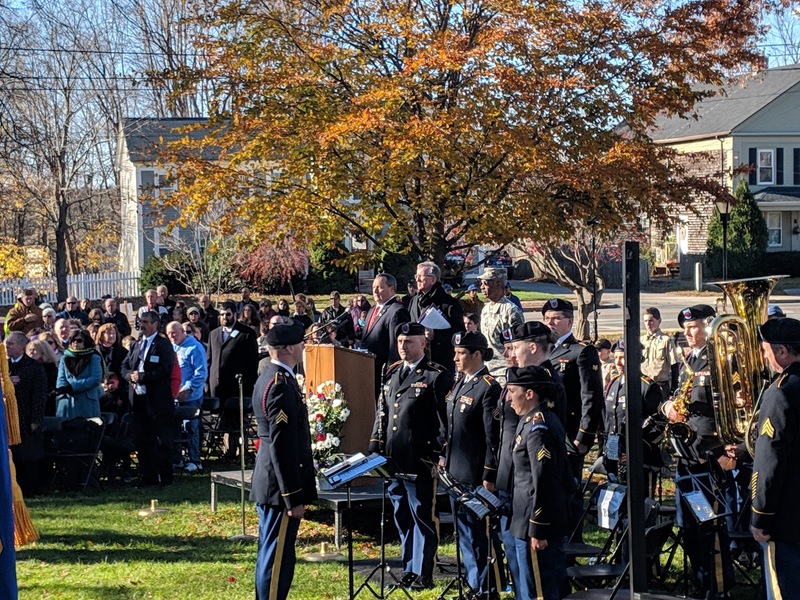 The walkway was officially and aptly unveiled Sunday to correspond with Veterans Day. 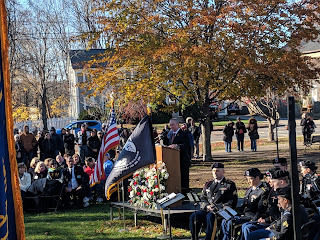 Keynote speaker and state Rep. Jeff Roy, D-Franklin, who helped secure state funding for the project, noted the importance of building a monument in recognition of those who’ve shown signs of courage - something humanity has taken part in for thousands of years." Thank you, Town of Franklin, for a lovely tribute to our veterans. I'm so pleased that Dad has his brick in the Walkway. FHS' McGrath selected as "Player of the Week"